Beginning a new school year means you and your family have a new opportunity to get back to basics starting with health in mind. Below are five easy steps to help you and your family set the tone for a fantastic year. Make your bed. I was reminded that something as simple as this sets the tone for the day. How? Because it was a task you accomplished even though it was an unwritten rule. With this first task of the day out of the way, you can be motivated to accomplish great things the rest of the day. Drink a glass of water before you even have breakfast. Our body is made up of 75 percent water. That number gets lower as you become an adult. Water helps hydrate vital organs and gets you out of that groggy state. 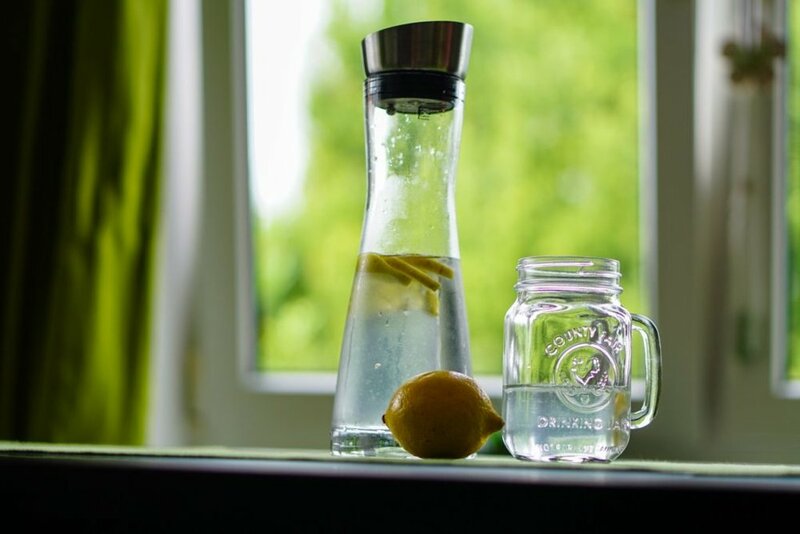 Get your body started with a refreshing glass of water. You can add some lemon juice to it as well. Create the day with your student(s). Around the breakfast table, or even on the drive to school, ask them what kind of day they will have. Will it be a day filled with learning all they can, staying focused in class, not disturbing other students and being kind to all who cross their path? Oftentimes, as adults we get caught up in asking how was your day at the end of the day at dinner; but, we can also start the day for our student(s) with asking them to create the day and tell you what that will look like. Garbage in, garbage out -- you decide! Have you heard the phrase garbage in, garbage out? That phrase can apply to so many things. When it comes to the new school year, it especially applies in two ways. First, think about food, and focus on foods that aid in optimal health such as fruits and vegetables. Avoid food that will steal your energy, such as candy or treats high in sugar. Second, be vigilant about what words people are speaking over your student(s). This is not the year for negativity. Make a stand for positive words that impact their life every day. Teach them how important words are – from the words they hear and even those they speak. Start the day by expressing love. Your student has finished breakfast and is preparing to walk to the bus stop. Be sure to tell them you love them and give them a hug. It is important to show your child love so they don’t do the wrong thing at school to crave this attention of a loving parent.